with a couple of takes on fun finds found on Pinterest. 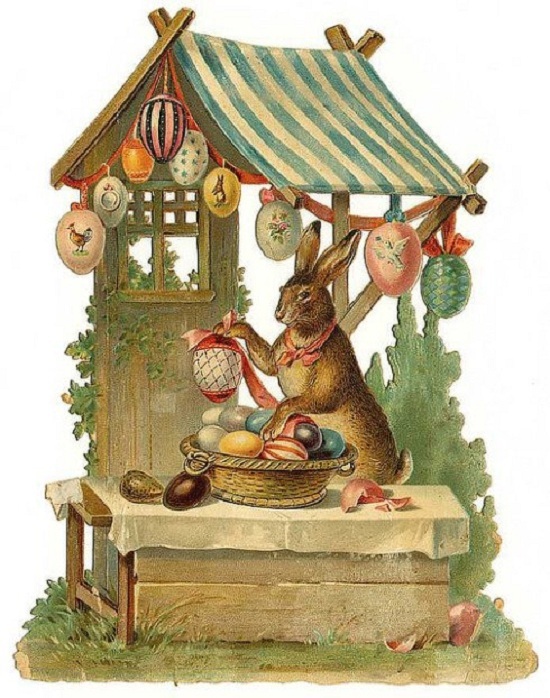 rain showers, umbrellas, Easter eggs, rabbits, etc. In doing so, I came up with these two pins that inspired the cards featured here. Next, I went on hunt to find the perfect cutting file that combined a similar bunny and Easter eggs. Before assembling the pieces, I did add some shading around the edges with chalk. Foam adhesive also gives more personality as you begin layering on the pieces. of baker’s twine glued into place. To create the background, I started with a piece of paper cut from the Happy Days Paper. To that I added raindrops using a stencil and Pearl Modeling Cream; this gives a nice dimension to the background. Allow the modeling cream to dry and then begin embellishing. and attached it to the side of the puddle with glue dots. 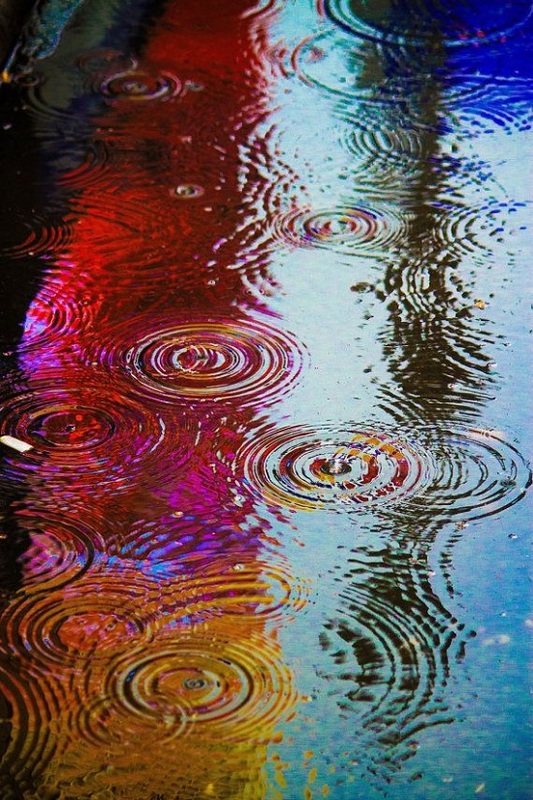 Add even more dimension to the raindrops with those adorable Puffy Stickers. 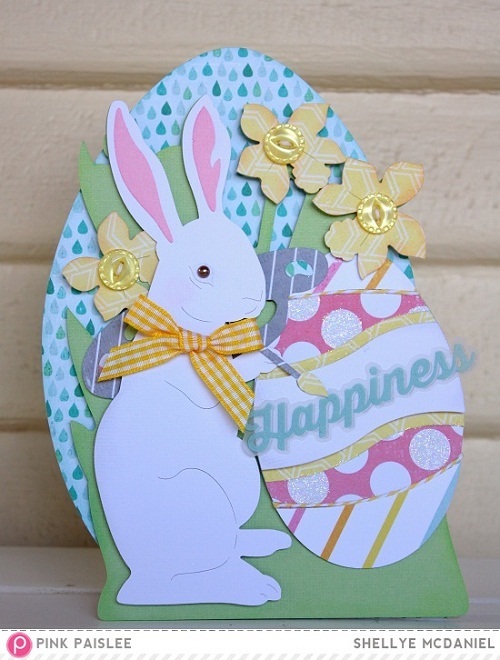 And that’s a wrap-up for my Pinterest inspired cards for today…hope you enjoyed! 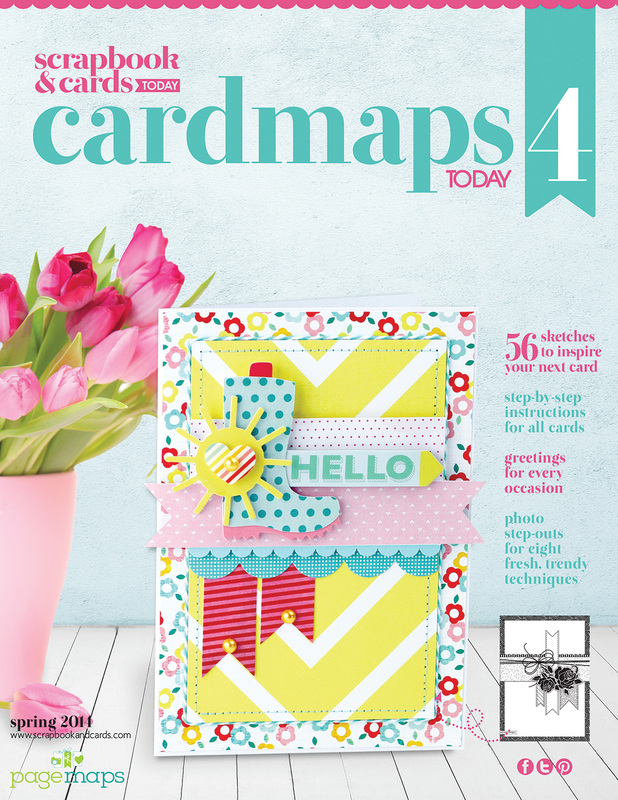 Spring Edition of CARDMAPS4 by Scrapbook & Cards Today and PageMaps!